Our hospital offers the expertise of five of the Pepperell area's best veterinarians who can diagnose your pet's ailments. Using our state of the art digital radiology, in-house laboratory equipment, and ultrasound our doctors will work with you and your beloved pet to diagnose and develop a course of treatment. When necessary we offer an ultrasound specialist who travels to our hospital for your convenience. We offer routine care visits for your dog and cat. An annual exam allows the doctor to ensure that your pet is in good health and to booster any necessary vaccinations. At these examinations routine blood work may be drawn, questions addressed, and pet care discussed with the veterinarian. 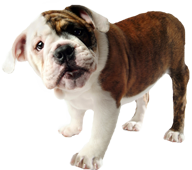 We will set up a care schedule with you for your new puppy or kitten. Senior wellness care is available for your elder pets. Once a year your pet will receive an I.D. card. These I.D. cards are the size of a credit card and will summarize your pet's vaccinations history. This is especially useful when traveling or bringing your pet to the kennel, daycare, or the groomers. Our appointment book is computerized which allows us to efficiently make appointments for you and your pet. Our receptionists and team will attempt to accommodate all requests to the best of our ability. We offer many evening and Saturday appointments to accommodate your busy schedule. Emergencies are accepted during regular clinic hours. If you feel you have an emergency with your pet please call right away. If possible it is best to call before coming in so that a staff member can advise you on your particular emergency. We have a veterinarian and personnel on duty 6 days a week who are trained and equipped to handle any urgent care your pet may need. Usually an emergency team consists of at least one veterinarian and several technicians working together to save a pet's life. Emergencies can be things such as a hit by car, poisonings, respiratory distress, or any life threatening situation. If you ever feel that your pet needs emergency treatment do not hesitate to call, so that a team member can advise you on your particular emergency, or come in immediately. We are also available for urgent care when the condition is not life-threatening but needs to be addressed shortly. Please call us to set up a time for your pet to be seen by the doctor. At the Pepperell Veterinary Hospital we offer surgery Monday through Friday. Our doctors perform routine surgical procedures such as spays, neuters, and dental cleanings with extractions, as well as many emergency surgeries. We also host a traveling board-certified surgeon monthly to perform orthopedic surgeries. We know how important your time is to you, so we offer a fully stocked pharmacy so you will not have to make multiple stops to obtain your pet's prescription needs. We also carry prescription diets by Royal Canin, Hills, and Purina. If you need your pet's medication compounded we work with a local compounding pharmacy to get you your pets medication within 24 hours. Frequent coupons and special offers for name brand flea, tick, and heartworm prevention.